Product prices and availability are accurate as of 2019-04-21 07:02:01 UTC and are subject to change. Any price and availability information displayed on http://www.amazon.com/ at the time of purchase will apply to the purchase of this product. 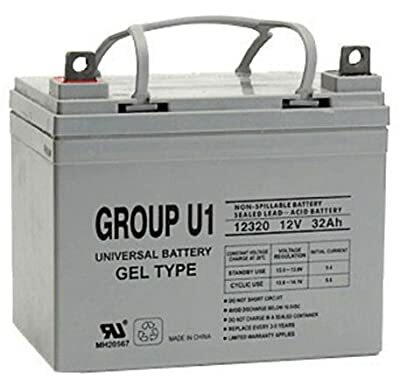 This 12V deep cycle battery can be used as a UPS backup battery, telecom, mobility scooter battery, and a host of other applications. This deep cycle GEL battery is spill proof and can be placed into service on its side! Please do not confuse this sealed Gel battery with its superior cousin, the sealed AGM battery. Despite what the competition may suggest, these batteries are not the same. They have different charge profiles meaning if your charger is designed for an AGM battery it will over charge this Gel battery or if your charger is set for Gel and you use an AGM battery it will be perpetually under charged.